Azayed, 26 Dec 2010Is Acer Liquid Metal support Arabic Language?There is no arabic language on this phone. Mackenzie, 24 Dec 2010How is the speaker on the Liquid metal? On the original liquid it was pretty garbage.The sound is better than the 1st acer liquid. 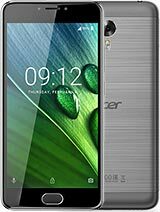 Is Acer Liquid Metal support Arabic Language? Dino, 18 Dec 2010It is not scratch resitant. At that price, don't expect a high-end phone. But it's a very go... moreHow is the speaker on the Liquid metal? On the original liquid it was pretty garbage. Why no radio. Then it would be perfect. [deleted post]I have baught it in sfr shop here in france. It't available now on expansys.com depending where you are. The price is $420 sim free without contract. Anonymous, 13 Dec 2010I Know it have platic screen , BUT do the have scratch-resistens surface? Please help med! ?It is not scratch resitant. At that price, don't expect a high-end phone. But it's a very good phone and worth its price. I have it since 1 month now and I'm very happy with it. Mariam De Valliere , 13 Dec 2010Where are the Acer smart phones available? I am in love with all of them and especially this o... morethe only place i have found it at (so far) is expansys online. 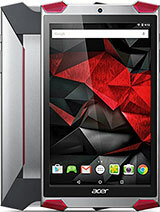 in sweden this phone will cost 320 euro , is very good news . 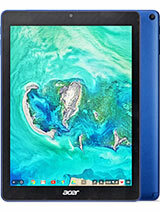 I Know it have platic screen , BUT do the have scratch-resistens surface? 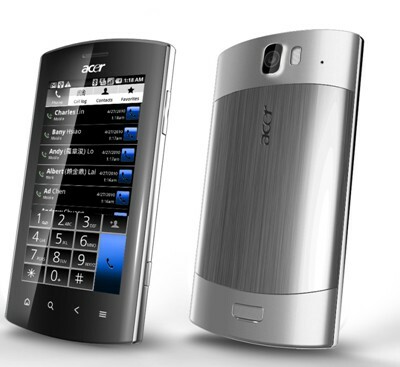 Where are the Acer smart phones available? I am in love with all of them and especially this one here (Liquid Metal) and need to know where i can get it and how do i get it??? Thanks!!! Earth, 12 Dec 2010Hi, you can see the front face by clicking the link below: http://2d.zol-img.com.cn/produc... moreThanks for the link! 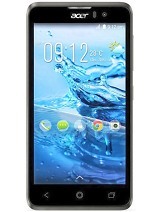 Its very good lucking phone. especially in silver color i think. I Cant find any live real pitchures on the Silver version on the front! Only on the back. I will see the hole silver version! I have this phone since 2 weeks and it really rocks. I recommend it for every one who don't pay more to have the same thing. DaveGT, 02 Dec 2010Even the official press release on 17th November on Acer.co.uk said it will be available in No... moreI have found one on ebay! 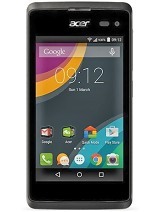 350 Euros, the seller say locked to SFR France but Acer phones are unlocked and will work with your UK sim card. DaveGT, 07 Dec 2010Aye looks to have sold out pretty quick and the comments were mostly very positive. Just need ... moreHi Dave..
yes, unfortunately sold out quickly and no more in stock. I'll inform you when it will be available again. And yes, there is no differences at all between the phones sold in France and UK..they have the same specs.